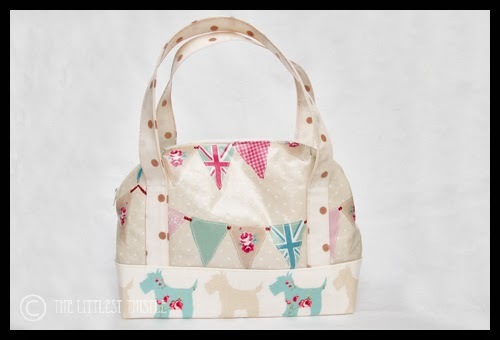 Since the lining of my Whole Lotta Changing Bag uses laminated fabric, and you might wish to do the same, I thought it was a good time for us to take a look at this fabric and how to work with it now that we are working on the lining. I should point out that for the sewing section, I’m using a Brother NX2000 to sew with, other machines are available and may behave differently. 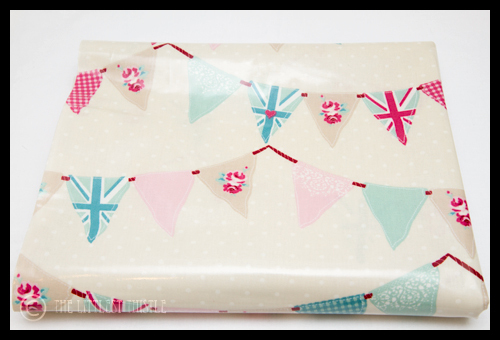 Laminated fabrics, sometimes known as oilcloth (although strictly speaking this only covers fabrics made waterproof with boiling linseed oil) are basically fabrics that have been coated with a substance to make them waterproof. These days most of what you find have been coated with a type of plastic, although there are different grades of coating depending on whether or not you need the fabric to be food-safe (such as for lunch bags) or baby-chewing-safe. As this series is concentrating on changing bags, I would suggest you google food safe laminate fabrics (just paste that into the search field) separately. There are a number of differing opinions on which plastics to coat your fabric with to make it food safe/child safe, and I’m not wading into that one! I’ll let you decide for yourself if you’re going to let the kid chew its changing bag. 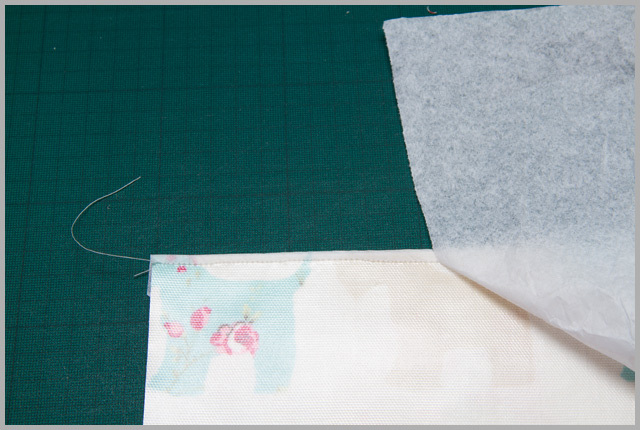 You can even make your own ‘real’ oilcloth, check out this post on Curbly. 2. Use a hairdryer, again on the back of the fabric – this works best if you can hang the fabric up in some way. Can you interface laminates? Why yes, you can. For this Aeroplane bag I used Vilene H640 fusible fleece, on the main body (bus section) as I would had I been using home decor weight fabric (as this is a home decor weight laminate), but I could have added G700 Woven Fusible too if it had been a lighter weight laminate. I did use the G700 + the ultra-firm sew-in interfacing in the bottom (dotty) section, as per the pattern. 1. Pin in the seam allowance only. 2. 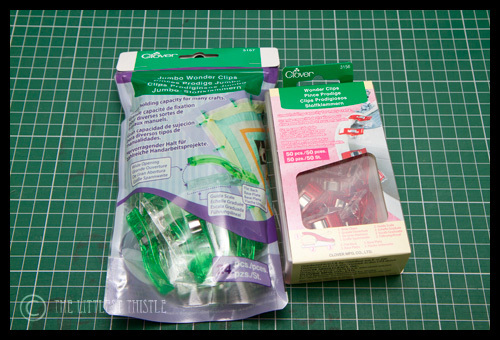 Use a non-puncturing solution, such as Clover Wonder Clips, bulldog clips or even paper clips (although I’ve found paper clips don’t work on heavier weight laminates, they pop off). 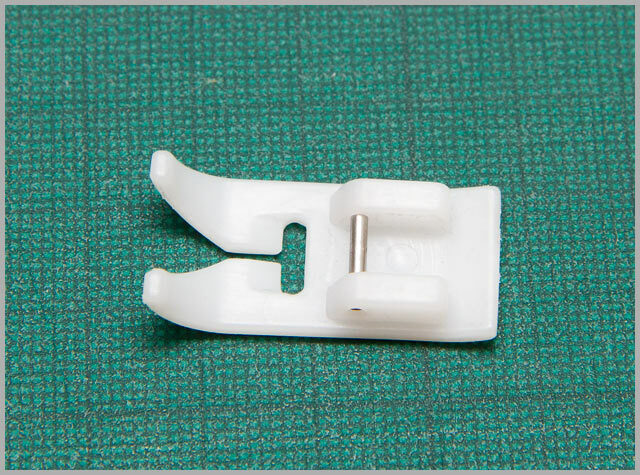 Wonder Clips work best for me, mainly because I find them easier to ping off when I get to them while sewing, but I realise that they’re not cheap, so if you want some, keep an eye out for sales! When I’m sewing laminates right sides together, I don’t have a problem sewing with my regular foot/settings, but when they come to right sides out, then it needs a bit of a rethink! This is where I have found that my machine behaves differently depending on the fabric weight. I picked this generic foot up on Amazon a couple of years ago for about £5, however I don’t find it works on the home decor weight laminates. I’m not sure if they’re ‘stickier’ or what, but it just doesn’t budge across the fabric for me. For heavier weight laminates, it’s time to break out… the tissue paper. I use sheets of tissue paper that come in shoe boxes and the like (or I suppose you could buy it, but I just get my family to supply me ;o) ) Wrap this around the area that needs to be sewn. 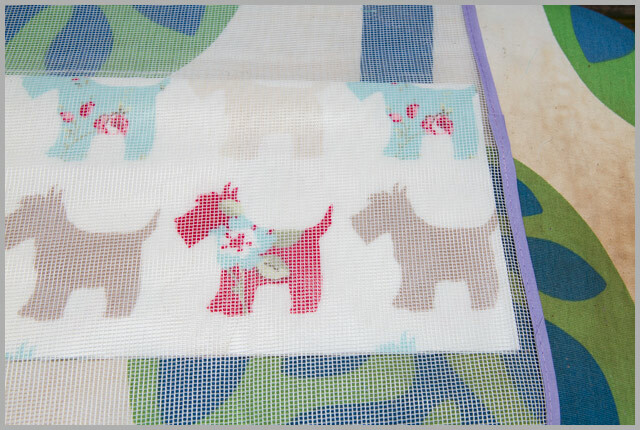 In the photo above, I’m doing the top stitching along the top edge of a pocket, so it’s wrapped round about 1″ to the other side, and held in place with Clover Wonder Clips so that I don’t have any pins making holes in the fabric. 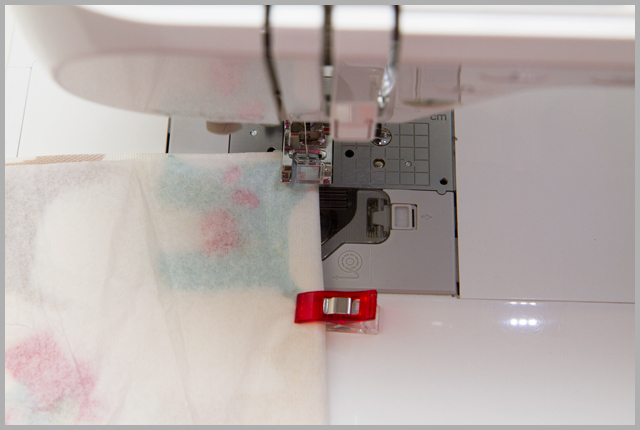 It should be easy to remove, but take my advice, and make sure the tissue is similar in colour to the laminate you’re sewing, otherwise you’ll find out just how many teeny wee bits are left behind in the stitching, and it will take ages to wipe it all out. I used red on this bag. Don’t do that. I hope this helps, but if you have any questions, please let me know! What a handy post full of tips to keep us out of sticky moments. Great tips! A change bag is probably the least weird thing my babies have chewed on! Brilliant Post ! Ive always wondered how to get laminates through my machine without it being a complete PITA and now thanks to you , Im armed with lots of other useful knowledge as well! I can go forth with confidence! Is this post written on the strength of my questions the other week? Either way, thank you for the tips. I may at some point go back to that changing bag, although it's been in the cupboard for 4 years, so the creases might never come out! What a great post – Full of such helpful tips! Well written and Thank you for sharing! Great tips here!!! I've found a walking foot helps, and if you run out of tissue paper, Solvy water soluble topping works well too (actually, even better, because you can use a wet Q-tip to dab away any remaining bits), but it can get pricey. Another good source for free tissue paper that is great for this purpose, though I know this is available in the States, don't know about overseas. Pellon interfacing sold by the bolt is usually "separated" with instructions printed on this thin tissue like paper. Save it and voila, use it for this purpose! I'm having strange visions of Sarah's Pooh bag! Thanks for the tips. Gosh, there is so much that you know !!!! 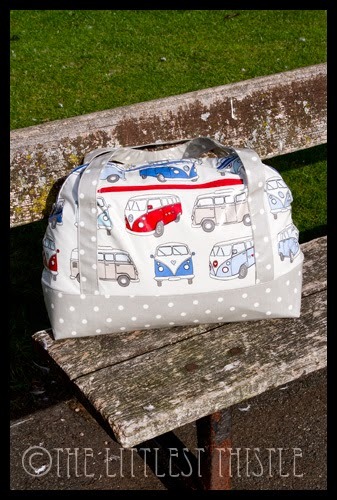 I love LOVE the VWs on this bag!! Thanks for all the great tips.